Make and bake cake mix as directed on box for 24 cupcakes. Cool 10 minutes. Remove from pan to cooling racks. Cool completely, about 30 minutes. Spread frosting on cupcakes. Sprinkle with candy rocks. 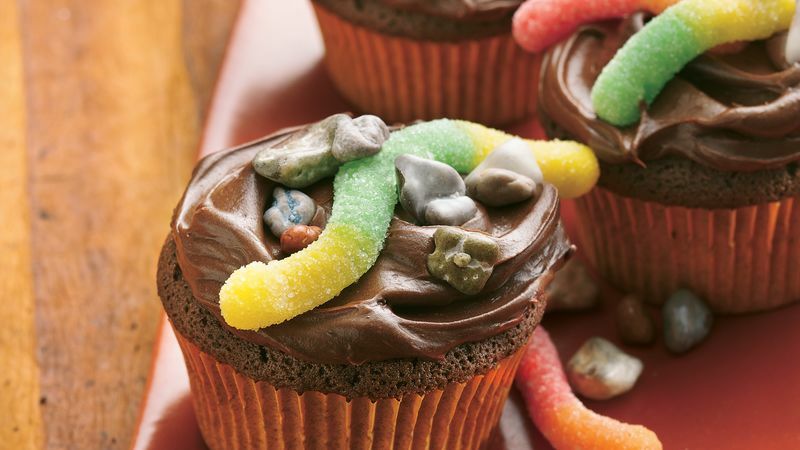 Add gummy worms, gently pushing one end of worm into each cupcake. Store loosely covered.